Producers have been hinting that the Star Wars Rebels animated series may tease all sorts of characters and storylines that will play into Episode VII, so this panel might be worth hitting up even if you’re not interested in the show itself. On the other hand, this could give you a better feel of whether Rebels is the show Clone Wars fans have been waiting for since the cancellation of that series. 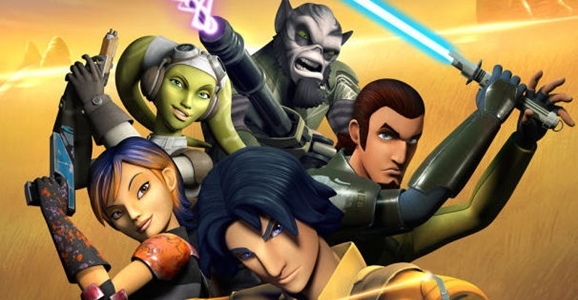 The panel guests will include executive producers Dave Filoni and Simon Kinberg, as well as series stars Freddie Prinze, Jr., Vanessa Marshall, Steve Blum, Tiya Sircar, and Taylor Gray. My ideal Firefly game would be more in the vein of Mass Effect than World of Warcraft, but beggars can’t be choosers when it comes to Joss Whedon’s beloved ‘Verse. We haven’t heard anything since the official announcement of Firefly Online a year ago, but the game is supposedly targeted for a 2014 release, so hopefully there will plenty to see. Guests will include executive producer Andy Gore, technical director John O’Neill, voice-over and casting director Andrea Romano (Batman: The Animated Series), game director Adam Cogan, art director Ben Lichius, and composer David Joseph Wesley.